This is “The Elements of Group 17 (The Halogens)”, section 22.5 from the book Principles of General Chemistry (v. 1.0). For details on it (including licensing), click here. To understand the periodic trends and reactivity of the group 17 elements: the halogens. Because the halogens are highly reactive, none is found in nature as the free element. Hydrochloric acid, which is a component of aqua regia (a mixture of HCl and HNO3 that dissolves gold), and the mineral fluorspar (CaF2) were well known to alchemists, who used them in their quest for gold. Despite their presence in familiar substances, none of the halogens was even recognized as an element until the 19th century. Because the halogens are highly reactive, none is found in nature as the free element. Chlorine was the first halogen to be obtained in pure form. In 1774, Carl Wilhelm Scheele (the codiscoverer of oxygen) produced chlorine by reacting hydrochloric acid with manganese dioxide. Scheele was convinced, however, that the pale green gas he collected over water was a compound of oxygen and hydrochloric acid. In 1811, Scheele’s “compound” was identified as a new element, named from the Greek chloros, meaning “yellowish green” (the same stem as in chlorophyll, the green pigment in plants). That same year, a French industrial chemist, Bernard Courtois, accidentally added too much sulfuric acid to the residue obtained from burned seaweed. A deep purple vapor was released, which had a biting aroma similar to that of Scheele’s “compound.” The purple substance was identified as a new element, named iodine from the Greek iodes, meaning “violet.” Bromine was discovered soon after by a young French chemist, Antoine Jérôme Balard, who isolated a deep red liquid with a strong chlorine-like odor from brine from the salt marshes near Montpellier in southern France. Because many of its properties were intermediate between those of chlorine and iodine, Balard initially thought he had isolated a compound of the two (perhaps ICl). He soon realized, however, that he had discovered a new element, which he named bromine from the Greek bromos, meaning “stench.” Currently, organic chlorine compounds, such as PVC (polyvinylchloride), consume about 70% of the Cl2 produced annually; organobromine compounds are used in much smaller quantities, primarily as fire retardants. Because of the unique properties of its compounds, fluorine was believed to exist long before it was actually isolated. 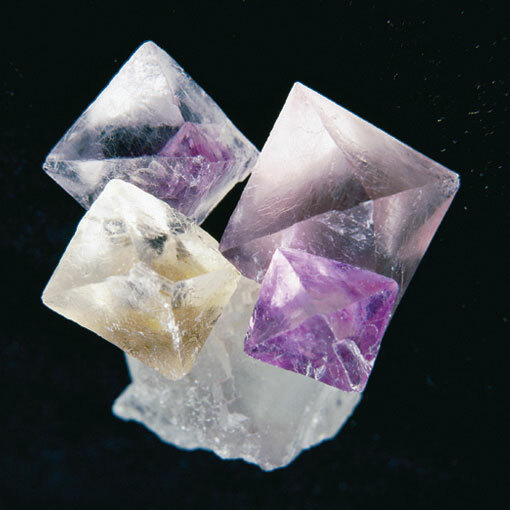 The mineral fluorspar (now called fluorite [CaF2]) had been used since the 16th century as a “flux,” a low-melting-point substance that could dissolve other minerals and ores. In 1670, a German glass cutter discovered that heating fluorspar with strong acid produced a solution that could etch glass. The solution was later recognized to contain the acid of a new element, which was named fluorine in 1812. Elemental fluorine proved to be very difficult to isolate, however, because both HF and F2 are extraordinarily reactive and toxic. After being poisoned three times while trying to isolate the element, the French chemist Henri Moissan succeeded in 1886 in electrolyzing a sample of KF in anhydrous HF to produce a pale green gas (Figure 22.14 "Isolation of Elemental Fluorine"). For this achievement, among others, Moissan narrowly defeated Mendeleev for the Nobel Prize in Chemistry in 1906. Large amounts of fluorine are now consumed in the production of cryolite (Na3AlF6), a key intermediate in the production of aluminum metal. Fluorine is also found in teeth as fluoroapatite [Ca5(PO4)3F], which is formed by reacting hydroxyapatite [Ca5(PO4)3OH] in tooth enamel with fluoride ions in toothpastes, rinses, and drinking water. A crystal of the mineral fluorite (CaF2). The purple color of some fluorite crystals is due to small inclusions of highly oxidizing impurities, which generate detectable amounts of ozone when the crystals are crushed. The French chemist Henri Moissan was the first person to isolate elemental fluorine. 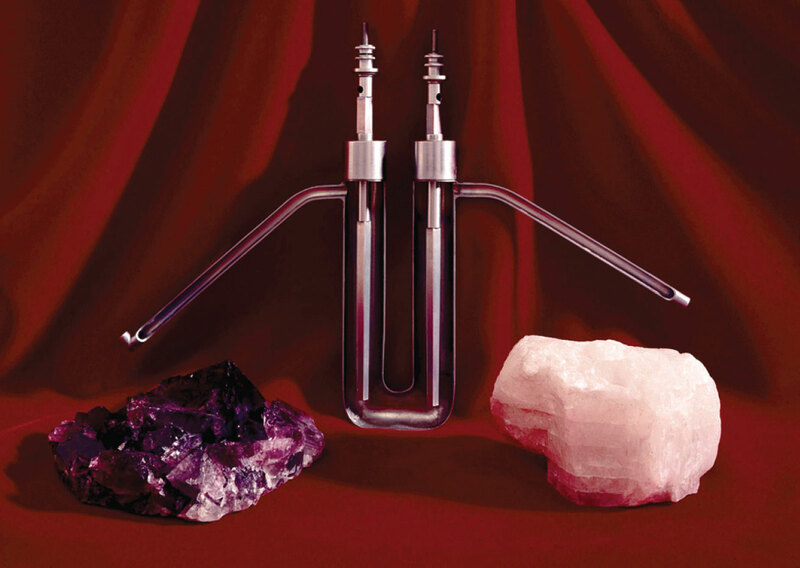 A reproduction of the U-shaped electrolysis cell with which Moissan first isolated elemental fluorine in 1866 is shown with samples of cryolite (left) and fluorspar (right). Fluorspar is the raw material from which anhydrous hydrofluoric acid (HF) is prepared. Cryolite is a rare mineral that contains the fluoride ion. The heaviest halogen is astatine (At), which is continuously produced by natural radioactive decay. All its isotopes are highly radioactive, and the most stable has a half-life of only about 8 h. Consequently, astatine is the least abundant naturally occurring element on Earth, with less than 30 g estimated to be present in Earth’s crust at any one time. Fluorine is one of the most powerful oxidants known, and both F2 and HF are highly corrosive. Consequently, the production, storage, shipping, and handling of these gases pose major technical challenges. 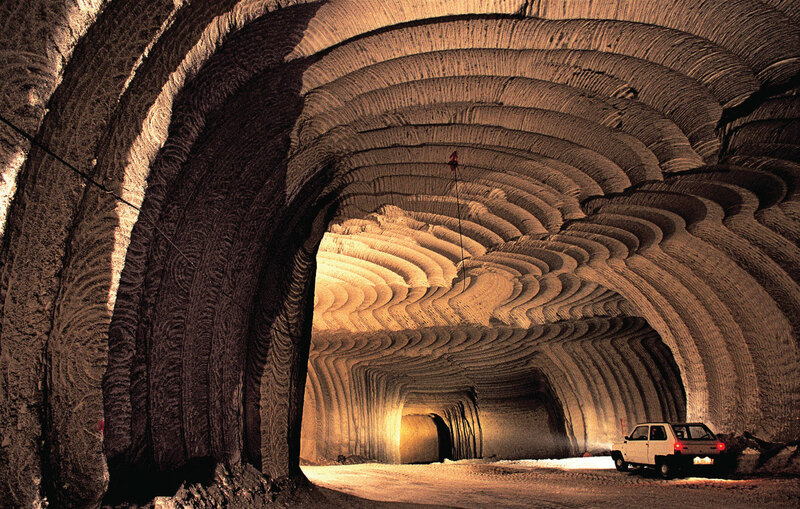 Subterranean deposits of rock salt are located worldwide, such as this one at Petralia in Sicily. Oxidative strength decreases down group 17. Electrostatic repulsions between lone pairs of electrons on adjacent atoms cause single bonds between N, O, and F to be weaker than expected. †The values cited are for the six-coordinate anion (X−). Because it is the most electronegative element in the periodic table, fluorine forms compounds in only the −1 oxidation state. Notice, however, that all the halogens except astatine have electronegativities greater than 2.5, making their chemistry exclusively that of nonmetals. The halogens all have relatively high ionization energies, but the energy required to remove electrons decreases substantially as we go down the column. Hence the heavier halogens also form compounds in positive oxidation states (+1, +3, +5, and +7), derived by the formal loss of ns and np electrons. Because ionization energies decrease down the group, the heavier halogens form compounds in positive oxidation states (+1, +3, +5, and +7). Because fluorine is so electronegative, it is able to remove or at least share the valence electrons of virtually any other element. Because of its small size, fluorine tends to form very strong bonds with other elements, making its compounds thermodynamically stable. The F–F bond is weak due to repulsion between lone pairs of electrons on adjacent atoms, reducing both the thermodynamic and kinetic barriers to reaction. With highly electropositive elements, fluorine forms ionic compounds that contain the closed-shell F− ion. In contrast, with less electropositive elements (or with metals in very high oxidation states), fluorine forms covalent compounds that contain terminal F atoms, such as SF6. Because of its high electronegativity and 2s22p5 valence electron configuration, fluorine normally participates in only one electron-pair bond. Only a very strong Lewis acid, such as AlF3, can share a lone pair of electrons with a fluoride ion, forming AlF63−. For elements that exhibit multiple oxidation states fluorine tends to produce the highest possible oxidation state and iodine the lowest. For example, vanadium reacts with the halogens to give VF5, VCl4, VBr4, and VI3. Metal halides in the +1 or +2 oxidation state, such as CaF2, are typically ionic halides, which have high melting points and are often soluble in water. As the oxidation state of the metal increases, so does the covalent character of the halide due to polarization of the M–X bond. With its high electronegativity, fluoride is the least polarizable, and iodide, with the lowest electronegativity, is the most polarizable of the halogens. Halides of small trivalent metal ions such as Al3+ tend to be relatively covalent. For example, AlBr3 is a volatile solid that contains bromide-bridged Al2Br6 molecules. In contrast, the halides of larger trivalent metals, such as the lanthanides, are essentially ionic. For example, indium tribromide (InBr3) and lanthanide tribromide (LnBr3) are all high-melting-point solids that are quite soluble in water. As the oxidation state of the metal increases, the covalent character of the corresponding metal halides also increases due to polarization of the M–X bond. All halogens react vigorously with hydrogen to give the hydrogen halides (HX). Because the H–F bond in HF is highly polarized (Hδ+–Fδ−), liquid HF has extensive hydrogen bonds, giving it an unusually high boiling point and a high dielectric constant. As a result, liquid HF is a polar solvent that is similar in some ways to water and liquid ammonia; after a reaction, the products can be recovered simply by evaporating the HF solvent. (Hydrogen fluoride must be handled with extreme caution, however, because contact of HF with skin causes extraordinarily painful burns that are slow to heal.) Because fluoride has a high affinity for silicon, aqueous hydrofluoric acid is used to etch glass, dissolving SiO2 to give solutions of the stable SiF62− ion. 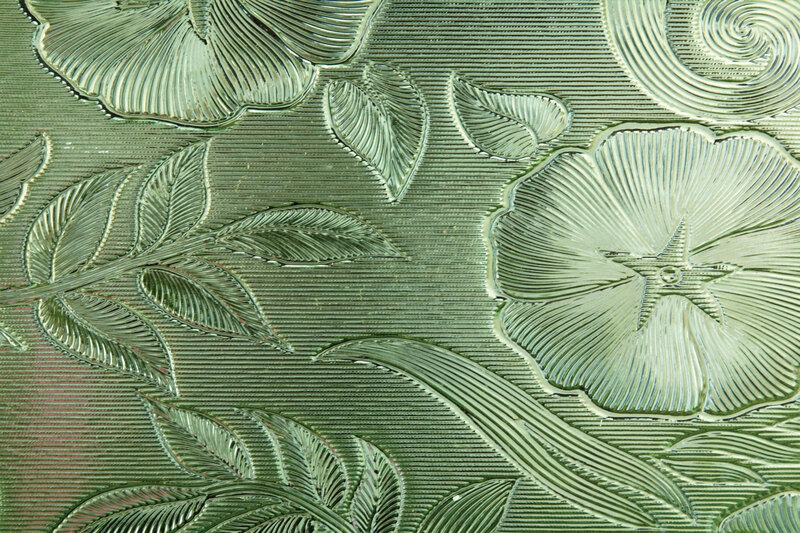 Glass etched with hydrogen flouride. The most stable oxoacids are the perhalic acids, which contain the halogens in their highest oxidation state (+7). The acid strengths of the oxoacids of the halogens increase with increasing oxidation state, whereas their stability and acid strength decrease down the group. Thus perchloric acid (HOClO3, usually written as HClO4) is a more potent acid and stronger oxidant than perbromic acid. Although all the oxoacids are strong oxidants, some, such as HClO4, react rather slowly at low temperatures. Consequently, mixtures of the halogen oxoacids or oxoanions with organic compounds are potentially explosive if they are heated or even agitated mechanically to initiate the reaction. Because of the danger of explosions, oxoacids and oxoanions of the halogens should never be allowed to come into contact with organic compounds. Both the acid strength and the oxidizing power of the halogen oxoacids decrease down the group. All group 17 elements form compounds in odd oxidation states (−1, +1, +3, +5, +7). The interhalogen compounds are also potent oxidants and strong fluorinating agents; contact with organic materials or water can result in an explosion. All group 17 elements form compounds in odd oxidation states (−1, +1, +3, +5, +7), but the importance of the higher oxidation states generally decreases down the group. For each reaction, explain why the given products form. Classify the type of reaction. Using periodic trends in atomic properties, thermodynamics, and kinetics, explain why the observed reaction products form. When the reactants have the same element in two different oxidation states, we expect the product to have that element in an intermediate oxidation state. We have Cl3+ and Cl0 as reactants, so a possible product would have Cl in either the +1 or +2 oxidation state. From our discussion, we know that +1 is much more likely. In this case, Cl2 is behaving like a reductant rather than an oxidant. At first glance, this appears to be a simple acid–base reaction, in which sulfuric acid transfers a proton to I− to form HI. Recall, however, that I− can be oxidized to I2. Sulfuric acid contains sulfur in its highest oxidation state (+6), so it is a good oxidant. In this case, the redox reaction predominates. This is the reaction of a metallic element with a very strong oxidant. Consequently, a redox reaction will occur. The only question is whether lead will be oxidized to Pb(II) or Pb(IV). Because BrF3 is a powerful oxidant and fluorine is able to stabilize high oxidation states of other elements, it is likely that PbF4 will be the product. The two possible reduction products for BrF3 are BrF and Br2. The actual product will likely depend on the ratio of the reactants used. With excess BrF3, we expect the more oxidized product (BrF). With lower ratios of oxidant to lead, we would probably obtain Br2 as the product. Predict the products of each reaction and write a balanced chemical equation for each reaction. The halogens are so reactive that none is found in nature as the free element; instead, all but iodine are found as halide salts with the X− ion. Their chemistry is exclusively that of nonmetals. Consistent with periodic trends, ionization energies decrease down the group. Fluorine, the most reactive element in the periodic table, has a low F–F bond dissociation energy due to repulsions between lone pairs of electrons on adjacent atoms. Fluorine forms ionic compounds with electropositive elements and covalent compounds with less electropositive elements and metals in high oxidation states. All the halogens react with hydrogen to produce hydrogen halides. Except for F2, all react with water to form oxoacids, including the perhalic acids, which contain the halogens in their highest oxidation state. Halogens also form interhalogen compounds; the heavier halogen, with the lower electronegativity, is the central atom. The halogens are highly reactive. All halogens have relatively high ionization energies, and the acid strength and oxidizing power of their oxoacids decreases down the group. The lightest elements of groups 15, 16, and 17 form unusually weak single bonds. Why are their bonds so weak? Fluorine has an anomalously low F–F bond energy. Why? Why does fluorine form compounds only in the −1 oxidation state, whereas the other halogens exist in multiple oxidation states? Compare AlI3, InCl3, GaF3, and LaBr3 with respect to the type of M–X bond formed, melting point, and solubility in nonpolar solvents. What are the formulas of the interhalogen compounds that will most likely contain the following species in the indicated oxidation states: I (+3), Cl (+3), I (−1), Br (+5)? Consider this series of bromides: AlBr3, SiBr4, and PBr5. Does the ionic character of the bond between the Br atoms and the central atom decrease or increase in this series? Chromium forms compounds in the +6, +3, and +2 oxidation states. Which halogen would you use to produce each oxidation state? Justify your selections. Of ClF7, BrF5, IF7, BrF3, ICl3, IF3, and IF5, which one is least likely to exist? Justify your selection. Electrostatic repulsions between lone pairs on adjacent atoms decrease bond strength. Ionic character decreases as Δχ decreases from Al to P.
SiF4 reacts easily with NaF to form SiF62−. In contrast, CF4 is totally inert and shows no tendency to form CF62− under even extreme conditions. Explain this difference. Oxyhalides of sulfur, such as the thionyl halides (SOX2, where X is F, Cl, or Br), are well known. Because the thionyl halides react vigorously with trace amounts of water, they are used for dehydrating hydrated metal salts. Write a balanced chemical equation to show the products of reaction of SOCl2 with water. Write a balanced chemical equation describing each reaction. Write the complete Lewis electron structure, the type of hybrid used by the central atom, and the number of lone pair electrons present on the central atom for each compound. Carbon has no low energy d orbitals that can be used to form a set of d2sp3 hybrid orbitals. It is also so small that it is impossible for six fluorine atoms to fit around it at a distance that would allow for formation of strong C–F bonds.